Issues have been raised about the integrity of the study on systemic importance of asset management firms, says Senate Banking's Crapo. Senator Michael Crapo, R-Idaho, ranking member on the Senate Banking Committee, told Treasury Secretary Jacob Lew in a Monday letter that he was concerned about the Treasury’s Office of Financial Research study on asset management firms’ systemic importance, and the likelihood that some of these firms could be designated as systemically important financial institutions. 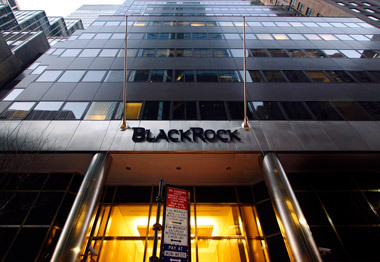 The OFR’s report on asset management firms, which effect companies like Black Rock, will likely be discussed at the Senate Banking Subcommittee on Economic Policy’s Wednesday hearing regarding the annual report and oversight of the OFR. Indeed, industry trade groups told the Office of Financial Research in November to “formally withdraw” what they say is an “inaccurate” report released by OFR in September on asset management firms’ systemic importance. OFR’s report, Asset Management and Financial Stability, provides an overview of the asset management industry and analyzes how asset management firms and the activities in which they engage can introduce vulnerabilities that could threaten financial stability. The Investment Adviser Association and the Securities Industry and Financial Markets Association’s Asset Management Group told the SEC in their joint comment letter that both groups are concerned that the OFR’s study “does not accurately characterize the role of asset managers and the factors that link asset managers and investment products to potential financial market distress.” Further, the groups argue that OFR has not “meaningfully involved” asset managers in the research it conducts. In early January, the the Financial Stability Board (FSB) and the International Organization of Securities Commissions (IOSCO) published for public comment its Assessment Methodologies for Identifying Non-bank Non-insurer Global Systemically Important Financial Institutions (NBNI G-SIFIs), to identify systemically important non-bank non-insurer (NBNI) financial entities. Check out Are Asset Managers Now Too Big to Fail? on ThinkAdvisor.